December 7, 2011 - Actor Alec Baldwin was kicked off an American Airlines flight at Los Angeles International Airport on Tuesday. Alec Baldwin tweets, “Flight attendant on American reamed me out 4 playing Words With Friends while we sat at the gate, not moving.” Apparently when all of the passengers boarded the flight and the door was closed, a flight attendant demanded Baldwin turn it off his phone. Baldwin then got into a spat with the flight attendant, then got out of his seat, went into the bathroom and slammed the door. The pilot was informed of the spat and the door slamming, ordered Baldwin off the plane according to passengers. Baldwin tweets, "Last flight w American. Where retired Catholic school gym teachers from the 1950's find jobs as flight attendants." Words With Friends is a multi-player word game developed by Zynga With Friends. Players can take turns building words crossword puzzle style with one or more friends, or by being matched with random opponents. Its rules and point system is based on that of the board game Scrabble. Up to 20 games can be played simultaneously using push notifications to alert players when it is their turn. Released July 2009 and published by Zynga, Words With Friends is available for cross-platform play on devices running the operating systems Android and iOS (iPad, iPhone, iPod Touch). The game is also available on Facebook. In addition, there is a chat feature built in the game that allows you to chat with your opponent. The Words with Friends is one of the top ranking games in the iOS application store, available as both a free ad support and an ad-less paid version. The game has garnered support among celebrities, including John Mayer, Rainn Wilson, Terrell Owens, Eliza Dushku and Alec Baldwin. Baldwin’s acting career first gained recognition through television for his work in the soap opera Knots Landing in the role of Joshua Rush. He was a cast member for two seasons (6 and 7) before his character was killed off. The series aired on CBS from 1979 to 1993. Baldwin has since played both leading and supporting roles in films such as Beetlejuice (1988), The Hunt for Red October (1990), The Marrying Man (1991), The Shadow (1994), Thomas and the Magic Railroad (2000), Final Fantasy: The Spirits Within (2001), The Aviator (2004) and The Departed (2006). Baldwin performance in the 2003 film The Cooler garnered him a nomination for the Academy Award for Best Supporting Actor. 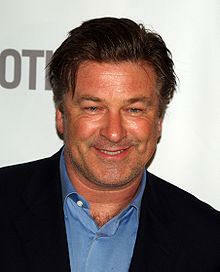 Since 2006 he has starred as Jack Donaghy on the NBC sitcom 30 Rock. He has received two Emmy Awards, three Golden Globe Awards, and six Screen Actors Guild Awards for his work on 30 Rock. He is the oldest of the Baldwin brothers working in Hollywood.